Child poverty in Ontario has dropped for a third consecutive year. According to the latest figures just released by Statistics Canada, Ontario’s child poverty rate of 13.8 per cent in 2011 was down from 15.2 per cent three years earlier. While the reductions in child poverty in Ontario appear to be trending behind the government’s five-year target for a 25-per-cent reduction by 2013, the fact that poverty has fallen at the same time as a major economic downturn speaks volumes about the return on investment so far of the province’s poverty reduction strategy. As Ontario sets out to consult regarding its next five-year anti-poverty strategy, the past strategy provides five important lessons. The first is that setting targets matters. What gets measured gets counted. In 2008, a broad consensus emerged that successfully reducing and eliminating poverty had to start with a multi-year plan based on a clear target. Ontario’s commitment to reducing child and family poverty by 25 per cent in five years was precedent-setting. It has been critical in keeping poverty reduction on the policy radar through hard economic times. Legislated requirements have ensured public accountability for progress. As a next step, Ontario should ramp up action to ensure that the initial 25-per-cent reduction is achieved. Looking forward, the next strategy should seek a further 25-per-cent reduction in poverty by 2018. This time, the target should include all Ontarians, including children. The second lesson is that public engagement matters. Ontario’s engagement with all sectors of society in the development of its first poverty reduction plan seeded growing recognition that investing in people today is good for all of us in the long-term. It leads to a healthier population and safer communities that reduce healthcare and social services costs down the road. It drives a resilient, productive workforce where all hands are on deck to move Ontario forward. And it means we create a fair society that we are all proud of, where everybody belongs and has an opportunity to contribute. Community consultations highlighted the specific needs of populations that are at heightened risk such as immigrants, women, single mothers, people with disabilities, Aboriginal peoples and racialized groups – and these specific needs were recognized in the Strategy. As it looks ahead, Ontario should consult widely again and be particularly attentive to hearing from those with lived experience of poverty. Third, there are no silver bullets when it comes to complex issues such as poverty. Taking a long view to a complex issue allows for a planned approach to action. 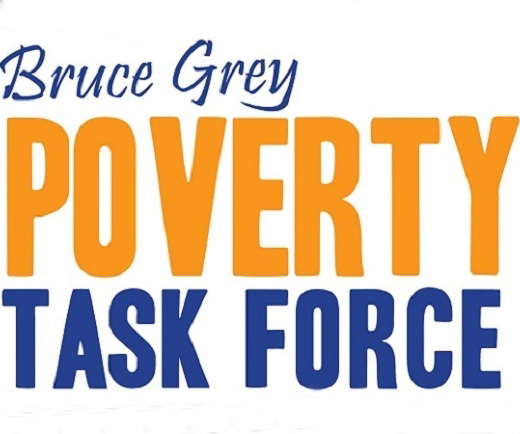 Ensuring that work pays, building strong income security programs, and creating a strong social infrastructure of affordable housing and quality child care are all essential elements of an anti-poverty package. These are not quick, simple steps. But a clear multi-year schedule of policy and investments over the next five years can ensure we get to our destination. Fourth, good social policy makes all the difference. The ultimate measure of success of Ontario’s plan is whether it is progressing towards its target. Ontario’s three-year decline in child and family poverty could only have happened because the province chose to invest in programs that could move the needle. Substantial investments in the new Ontario Child Benefit, coupled with targeted tax credits, successive increases in the minimum wage, employment standards reforms and early learning investments have been the strategy’s strong points. Building on this success should include an adult conversation about growing Ontario’s revenue base to provide fiscal capacity to act. We should remember that breaking the poverty cycle for thousands of Ontarians is the best return on investment the province can make. Lastly, when it comes to investments, you only get out of it as much as you put in. Based on data for the first three years of the strategy, Ontario is moving too slowly to achieve the target of a 25-per-cent reduction in child poverty within five years. But three consecutive years of reduction in child and family poverty is an encouraging, hard-won trend, especially in a slow economic recovery. By contrast, poverty rates for working age adults in Ontario continued to climb because there has not been a concerted effort to address poverty among all Ontarians. The most important lesson of all is that building dignity and opportunity for all cannot stop at words and aspirations. What Ontario chooses to do with its next poverty reduction strategy will be a measure of its continued commitment to fairness and prosperity for all. Now is the time to build on success and to close the gaps between words and actions, to be bold in our intention, target and action, and to make a real difference for all Ontarians. Greg deGroot-Maggetti is co-chair of the 25 in 5 Network for Poverty Reduction;Margaret Hancock is Executive Director of Family Service Toronto; and Heather McGregor is CEO of YWCA Toronto.